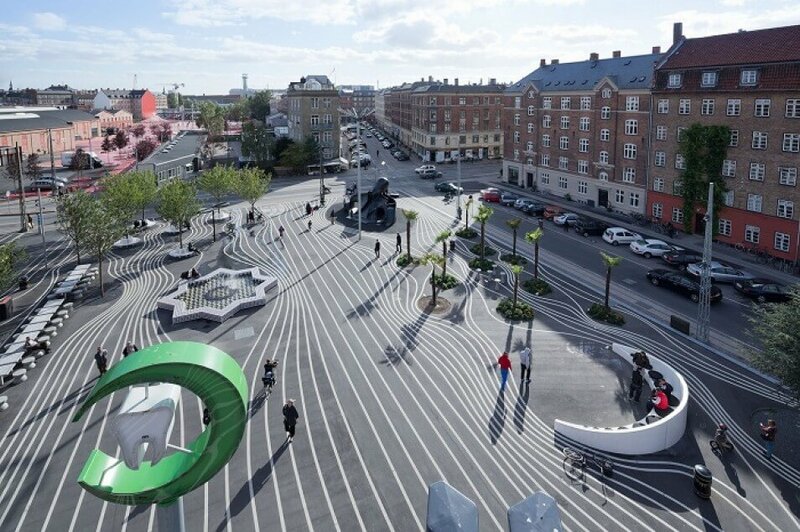 Superkilen is a kilometer-long park situated in the Nørrebro area just north of Copenhagen’s city center. 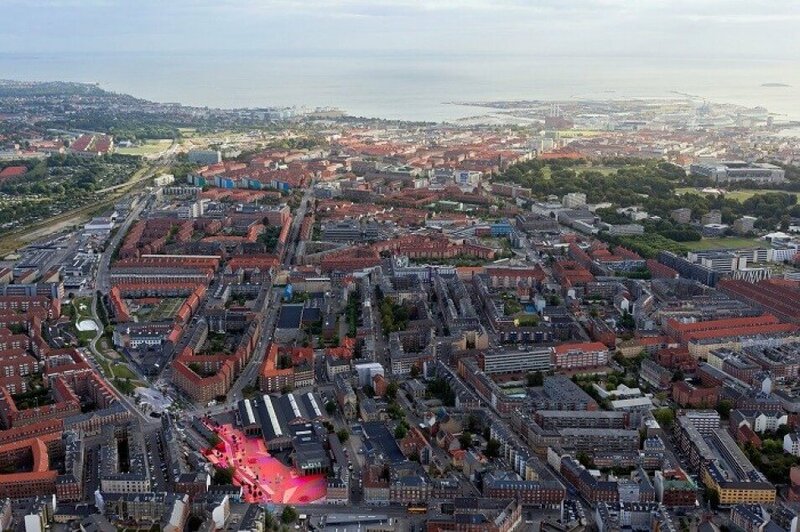 Superkilen is home to more than 60 nationalities, and is considered to be one of the most ethnically diverse neighborhoods in the Danish capital. 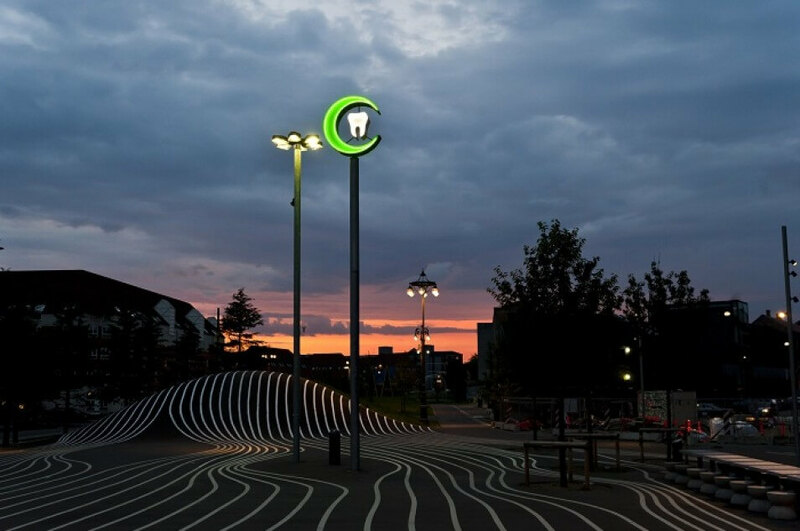 The hope is that Superkilen can help revitalize the area by giving it a global identity and unifying its inhabitants. 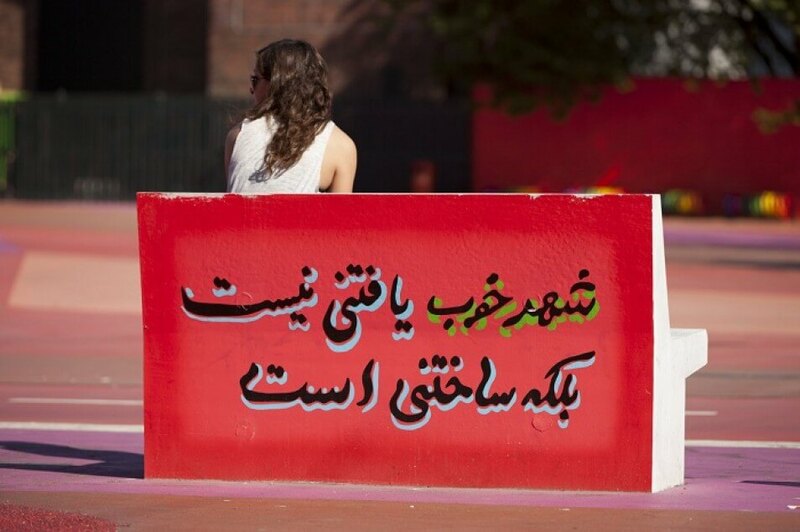 The park comprises 3 areas: the ‘Red Square’, the ‘Black Market’ and the ‘Green Park’. 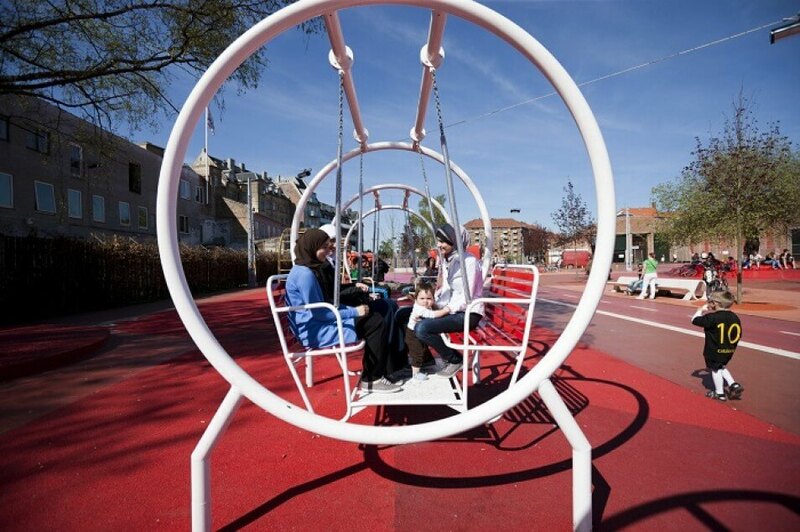 Bike lanes traverse the park, which features playgrounds as well as spaces for basketball, football, cultural activities, picnics, socializing and relaxing. The Black Market seen from above. The white lines curve their way around the objects. Source: Iwan Baan/ Superflex. The Black Market where the locals meet. The pattern of white lines curve around objects. Source: Iwan Baan/ Superflex. The soft green hills of the Green Park. Many of the sport facilities have been moved here, with brand new pitches for hockey and basketball. 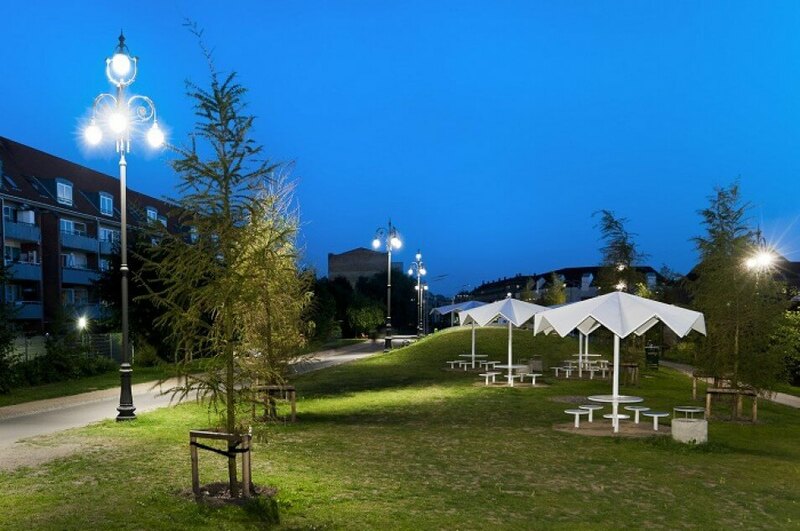 The area also attracts people for picnic, sunbathing or just taking a nap on the grass. Source: Mike Magnusse/ Superflex. View of the Black Market at night with a crescent green moon highlighted in the middle. Source: Mike Magnussen/ Superflex. Park seen from above with the urban environment surrounding it. Source: Iwan Baan/ Superflex. The Red Square seen from above. The bike path makes its way through the red pattern. Source: Iwan Baan/ Superflex. 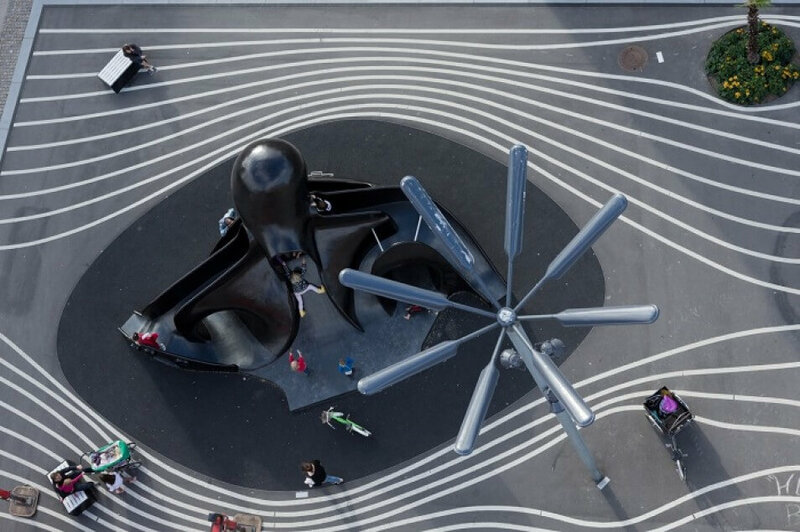 A gym machine from the beaches of California, one of the objects that make up the furniture at Superkilen. 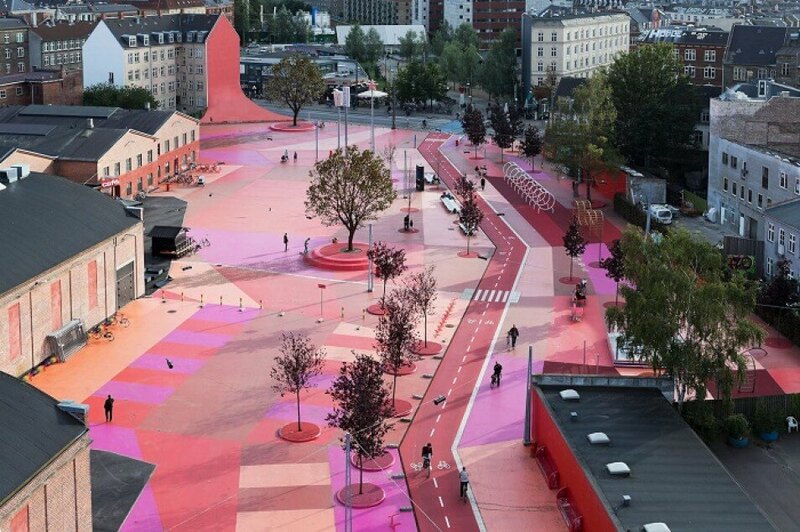 Source: Torben Eskerød/ Superkilen. 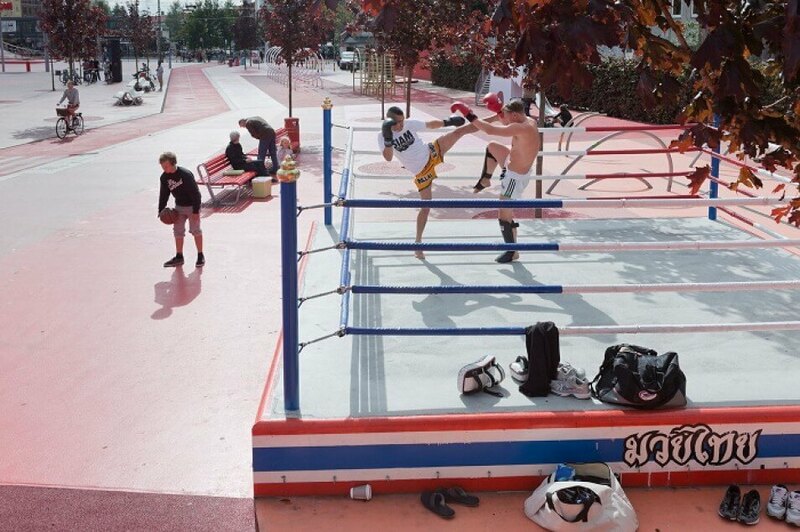 Boxing on a ring while pedestrians sit on a colorful bench, watching them train. Source: Iwan Baan/ Superflex. A woman sits on a bench, adding up to the international purpose of the park. Source: Superflex. Colorful steel decorations on the Red Square. 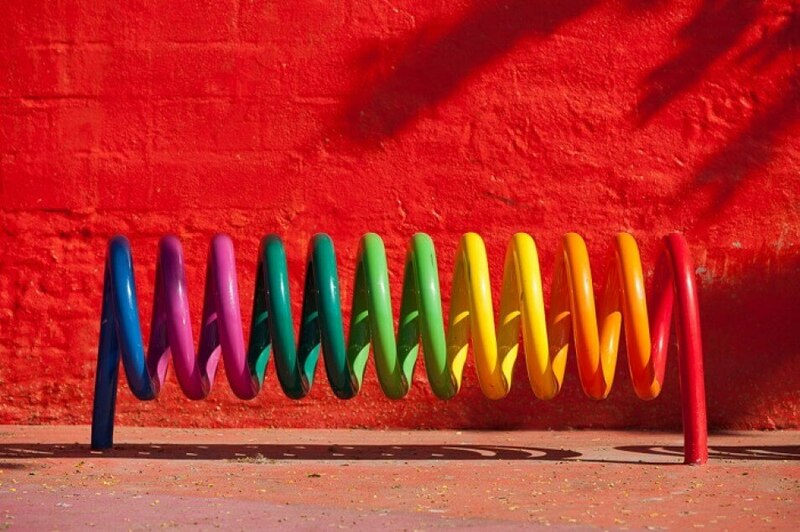 Source: Iwan Baan/ Superflex.